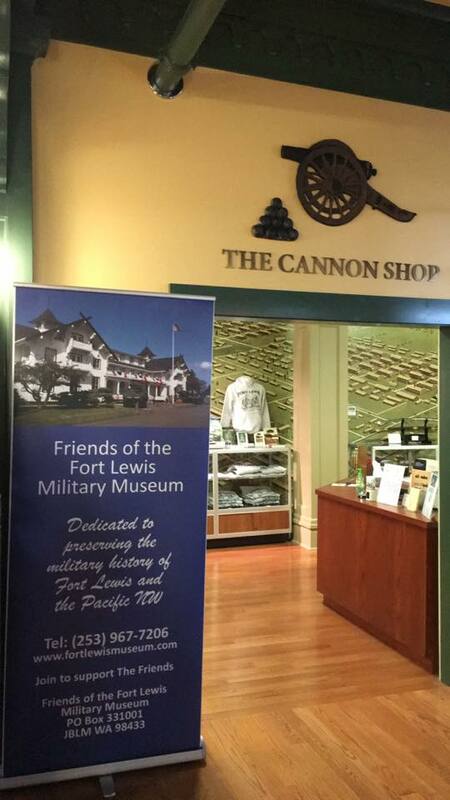 ALERT: The Friends of the Fort Lewis Military Museum is currently looking for volunteers to work in the Cannon Shop (gift shop)! If you are interested, please give us a call at 253-967-4523 during business hours: Wednesday through Sunday from 11:00 am to 4:00 pm. The Friends of the Fort Lewis Military Museum was organized in 1973 to provide volunteers, monetary assistance, and encouragement for the Lewis Army Museum. The Friends organization believes that the story of our Soldiers, their families, and supporters must be preserved to educate and inspire future generations of Americans. The Friends is a non-profit organization—501 (c) (3)—dedicated to keeping the history of the United States Army alive by supporting the Lewis Army Museum and its programs. The Friends membership includes active duty and retired military personnel and their families, as well as patriotic citizens from all walks of life. Friends receive a quarterly newsletter, The Banner, a discount at the Cannon Shop, and the opportunity to participate in brunch meetings and other programs with both the museum and the Friends. Please help us to promote an appreciation and awareness of our priceless military heritage by becoming a Friend. If you are interested, please contact museum staff at usarmy.jblm.imcom.list.museum@mail.mil and we will put you in touch with the Friends of the Fort Lewis Military Museum Board.